The EU still leads the world in clean energy technologies, but for how long? In 2012, 70% of new wind power capacity and 40% of new photovoltaic panels were installed outside Europe. Brussels has shied away from new national renewables targets in its 2030 climate and energy proposals. It is preparing fresh rules on state aid that will disadvantage less mature technologies such as offshore wind and solar PV. And the EU internal energy market remains incomplete and ill-suited to integrate these new, less predictable sources of power. No one wants renewables to be pampered forever – but there is a growing fear that ill-considered reforms will destroy one of the great European success stories of the last decade. Renewable energy is no doubt one of the great success stories of the EU. As the European Commission noted in its recent ‘Energy Economic Developments’ report, the EU has claimed 40% of all renewable energy patents over the last decade – more than the US. Wind power has shown the biggest growth in net generating capacity since 2000, according to the Annual Statistics 2013 of the European Wind Energy Association (EWEA): 105 Gigawatt (GW), more even than gas-fired capacity. In 2012, fossil fuel-fired generation for the first time accounted for less than half of total European electricity generation, Eurelectric – the European association of electricity companies – noted last December. The European renewables sector today employs 1.2 million people. In short, renewable energy is a new indigenous source of power that promotes European energy independence, creates jobs, exemplifies European innovation and technological leadership, and yes, combats climate change. What’s there not to like? Well there is a price tag. Subsidies have shot up to around €35-45bn a year in recent years (€46bn in 2012, according to the International Energy Agency) and national governments have created havoc amongst investors by turning the clock back on subsidies in a bid to claw back precious swathes of the public budget. Renewables have been a victim of their own success with solar PV leading the pack: as costs dropped by almost two-thirds in five years and subsidy schemes failed to keep up, the result was massive overcompensation for ever keener investors. Retroactive cuts to subsidies followed in countries such as Spain, which have shaken the industry to its core. At current levels of deployment, renewables remain a cost to consumers because the drop in wholesale prices they trigger (35-45% from 2008-12, posits the Commission in its recent energy prices policy paper) is still outweighed by how much subsidy they require to compete with conventional power production. The cost to households is exacerbated in countries like Germany where large industrial consumers are exempt from green levies to protect their international competitiveness. Yet renewables have added a new dimension to European competitiveness: “The expansion of renewables has provided opportunities in terms of industrial equipment and trade flows,” says the Commission in its important ‘Energy Economic Developments’ report. The EU shows “strong comparative advantages” in the wind industry with a trade surplus of €2.45bn in wind components in 2012. Its lead in wind coincides with a large share of world wind patents since 2000. Indeed, EU export performance is strong in technologies where it has a strong portfolio of patents, reports the Commission, pointing attention to the importance of innovation and R&D policies in promoting new green sectors. The EU will spend 35% of its €70bn R&D budget for 2014-20 on meeting its climate and energy goals, EU climate commissioner Connie Hedegaard said recently in an interview with viEUws. The Commission is also drawing up a new energy R&D strategy for the post-2020 period. For all its success in wind, the EU cannot claim the same for solar. It suffered a trade deficit of €9bn in solar components in 2012. The year before the deficit was a whopping €21bn! This is mainly due to the rise of China, which today has enough capacity to supply the entire world’s demand for solar panels twice over, as was pointed out recently by Milan Nitzschke, Vice President of SolarWorld, the largest manufacturer of solar technologies in Europe (and the world, apart from China). Nitzschke was speaking at a conference in Brussels in early February. The growth in China also explains the dramatic drop in prices for solar panels. The EU has in the meantime introduced anti-dumping tariffs to combat the flood of Chinese panels into the European market “but we have lost a lot”, said Nitzschke. China has more than doubled its renewable energy supply over the last decade and in the US, the shale gas revolution has come at the expense of coal, not renewables: renewables have grown at the same rate as gas in terms of their share of the energy mix (albeit from a smaller base, of course). Worldwide, net renewable electricity generation grew by 45% from 2000-10, with the highest growth in China. These are all facts from the Commission’s own research into energy prices. This same research suggests that renewables are not purely the financial burden on Europe that they are often made out to be. In 2010, subsidies were about €30bn but were matched almost exactly by the savings on fossil fuel imports. Europe spent no less than a net €412 billion – that’s nearly half a trillion Euros – on energy imports in 2012. That is more than Poland’s entire GDP and most of it went to Russia, Europe’s largest supplier of oil, gas and hard coal. This is money that could be invested in European growth and European jobs by developing renewables instead. At the same time, no one – including ardent supporters of renewables – is advocating overcompensation. Everyone recognizes that renewables are not the new kid on the block anymore that needs protection. Certainly most policymakers today are determined to tailor subsidy schemes to the real needs of renewables. It is to this end that the European Commission has introduced a strong push for more competitive subsidy schemes in its third and final draft of new energy and environment state aid guidelines currently out for public consultation (deadline 14 February). The final guidelines are due out in July. They will set out, among other things, what kind of support member states are allowed to offer renewables. The idea is to minimise distortions of the EU internal energy market. The renewables sector, however, is far from happy with the Commission’s plans. The problem, says the renewables industry, is that the push for more competitive funding risks missing the point of state aid altogether: to support emerging technologies to bring down their costs and put them on the path to being fully competitive in the open electricity market. Instead, emerging technologies may end up competing with one another and with their more mature cousins in a protected space. Offshore wind and solar PV are two candidates that stand to lose out. The Commission’s definition of a mature (“deployed”) technology is one that generates at least 1-3% of European electricity. These technologies would be subject to a competitive tender for funds. Solar PV is already at 3%, but deployment varies greatly by region. Moreover, says the solar industry, solar PV consists of many different technologies (e.g. rooftop vs. green-field PV) and the priority should be getting costs down further. Offshore wind is projected to be at 3% in the energy mix by 2020, but its costs will still be higher than those of onshore wind. This means onshore wind would always win out in competitive tenders. The Commission has tried to guard against this by introducing a clause that would let member states specify how many renewable technologies must benefit from a tender. But the industry says experience to date suggests that technology-specific schemes are both cheaper and more effective. It points to the Netherlands, which had a renewables support scheme that many believe inspired the Commission, but which has recently set up a separate support scheme for offshore wind. Eurelectric, however, does embrace the Commission’s new, more competitive approach. Eurelectric has long called for an end to renewables support schemes after 2020. 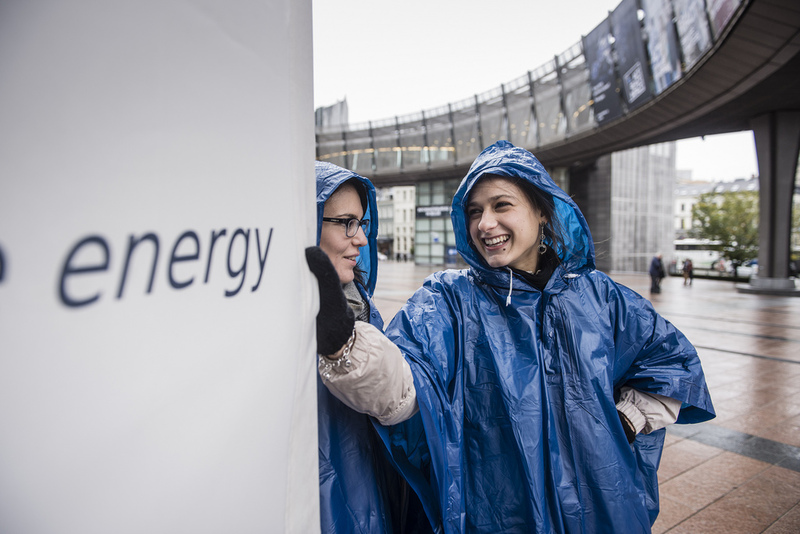 In a new manifesto adopted on the 3rd of February, the association calls for a more European approach that would “re-orient energy policy towards cost-efficiency and competitiveness”. It wants to establish the EU Emission Trading Scheme (ETS) as key driver for investment in low-carbon generation, with less mature technologies aided by innovation and R&D support. The renewables sector argues that there are alternatives to a competitive tender process that promote renewable energy while keeping budgets under control. For example, Germany – Europe’s strongest economy and leader in renewables, which has gone from just a few per cent renewables in the early 2000s to a whopping 21% today – last year also managed to stick to its target (and therefore budget) for the installation of new solar PV. It did this by introducing a dynamic cap on subsidies: the faster the market grows, the faster the cap declines. Renewables are not in any case the only or even main energy burden on consumers, argues the industry. They are not to blame for higher energy prices – national taxes are the primary culprit there, the Commission acknowledged in its recent energy prices work. And then there are other subsidies to consider: €26bn a year for fossil fuels and €35bn a year for nuclear versus €30bn a year for renewables, according to draft figures from the Commission that were never published. The UK’s request for state aid for a new nuclear power plant at Hinkley Point C is also a far cry from the EU’s new competitive, technology-neutral approach – although that still has to be approved by the European Commission. All these subsidies and support schemes are distortions of the EU internal energy market, which was supposed to be ‘ready’ this year. In reality, member states are far from completing the liberalisation of their markets or the integration with other national markets, despite the progress that has been made. Renewables would benefit greatly from an integrated, interconnected EU market. The European Energy Programme for Recovery (EEPR) – €4bn in economic stimulus money for strategic energy projects –reports many problems in cross-border cooperation, lengthy permitting procedures and difficulties accessing long-term financing, as reasons why offshore wind and related grid projects are struggling. To mention just one example, the Iberian Peninsula remains vastly under-connected to the rest of Europe, preventing export of its solar power. But the market also remains unfit for renewables in another, equally fundamental way. Renewables such as wind and solar PV are by nature unpredictable. Yet the electricity market(s) in Europe today trades by and large in time blocks of at least a day, if not much further into the future. “Mature renewables technologies should take on the same responsibilities as other power producers, not least as regards balancing obligations and grid connection costs,” believes Eurelectric. Renewables providers say they can provide system services – for example solar PV can provide reactive power for voltage control – but they need intra-day trading and cost-effective access to balancing markets to do their share. Renewables investments ultimately still depend on a political push from policymakers to help create a business case. In this light, it is significant that the Commission has not proposed new national renewables targets for 2030; although the EU is on track to exceed its 20% renewables by 2020 target (it should hit 21%). Instead the EU is proposing a 27% target for the block as a whole that would be met through bottom-up national energy action plans subject to a review process by the Commission. Is this enforceable? No one knows. The 2020 target, which was broken down into national targets, created one-quarter of the 1.2 million jobs in renewables in Europe today. And it is due to deliver another 300-400,000 net new jobs in the next few years. (Renewable energy production tends to be more labour-intensive than conventional energy production.) Without clear targets for 2030, however, renewables become a riskier proposition for investors. It is capital markets and pension funds that will have to put money into this industry in the long term, but they need a stable policy framework to attract them. Climate Strategies warns that although several European countries are among the global leaders on innovation across all low-carbon technologies, yet 40% of solar PV and 70% of wind were installed outside Europe in 2012. Nitzschke of SolarWorld is convinced that Europe can compete on quality. European solar panels are produced through a much more highly automated process than Chinese ones, he explains, which means they last much longer (20-30 years). It is this type of competitiveness that Europe will need to remain a global leader in cleantech. The challenge for the EU is to create a cost-effective climate and energy framework for 2030, state aid included, that nurtures, not cleans out, European leadership in clean energy technologies. (i) A resolutely mercantilist approach exemplified by the emphasis on ‘saving imports’. Not surprisingly, this is accompanied by the view that subsidy support for renewables can be justified by creating EU jobs in renewable producing industries. This approach ignores the fact that EU nations’ (and citizens’) income and welfare is best obtained by climate change impact reductions at minimum cost, irrespective of technology or bogus balance of payments arguments. (ii) The arguments in favour of using the type of policies proposed by Sonja rarely succeed in achieving their industry development or technological objectives. Their net impact on employment is also typically negative once account is taken of effects on employment of energy using companies. On these, see a recent paper of mine (http://www.rpieurope.org/Publications/Letters_and_Notes/Stern_Pulling_the_Plug_Feb_2014.pdf) and many similar. It is far from surprising that the renewables producers argue for extensive subsidy. They would, wouldn’t they? (iii) If renewables are to be effectively supported as part of climate change reductions (and, of course, the issues are quite separate), the answer is surely in mechanisms that work with rather than against the grain of the market. This would include technology neutral auctions for time-limited subsidy, prizes, etc.